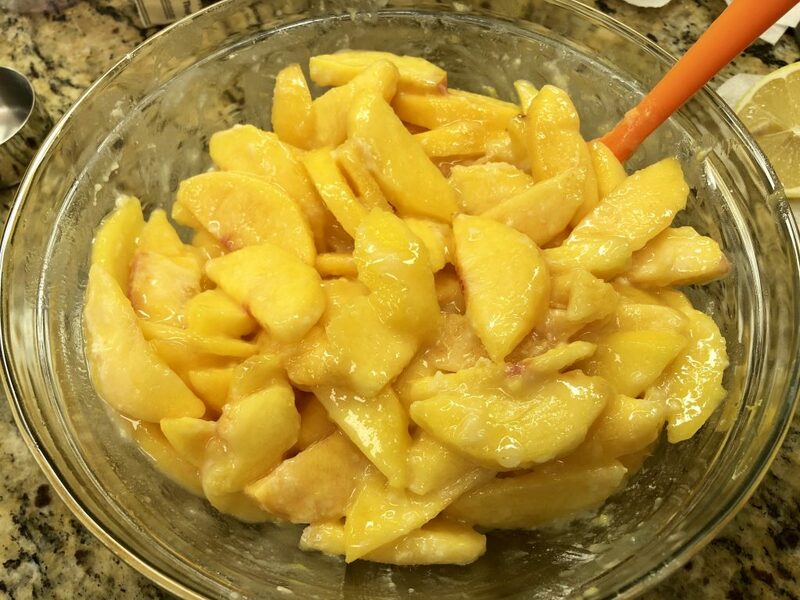 Have you noticed how good the peaches have been this year?? I’ve been loving this recipe and making it all summer and just had to share! 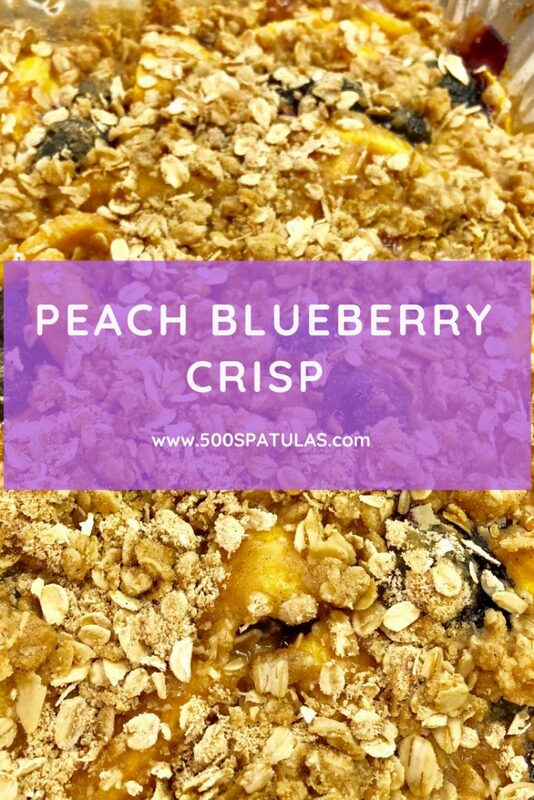 This Peach Blueberry Crisp recipe is a crowd-pleaser, freezes beautifully, and can easily be made dairy free and/or gluten free. 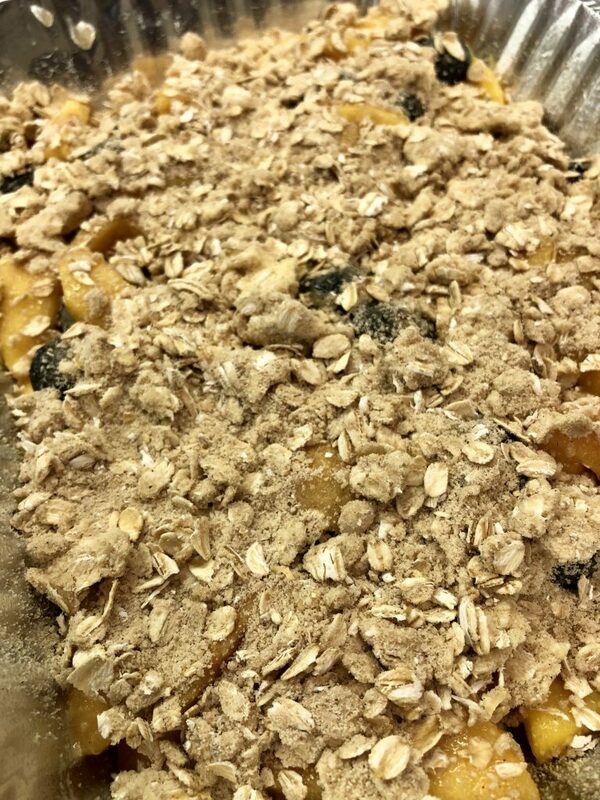 Allergy friendly, make-ahead and delicious? Yes please! Preheat the oven to 375 degrees. Grease a 9 x 13 baking dish with cooking spray. Set aside. 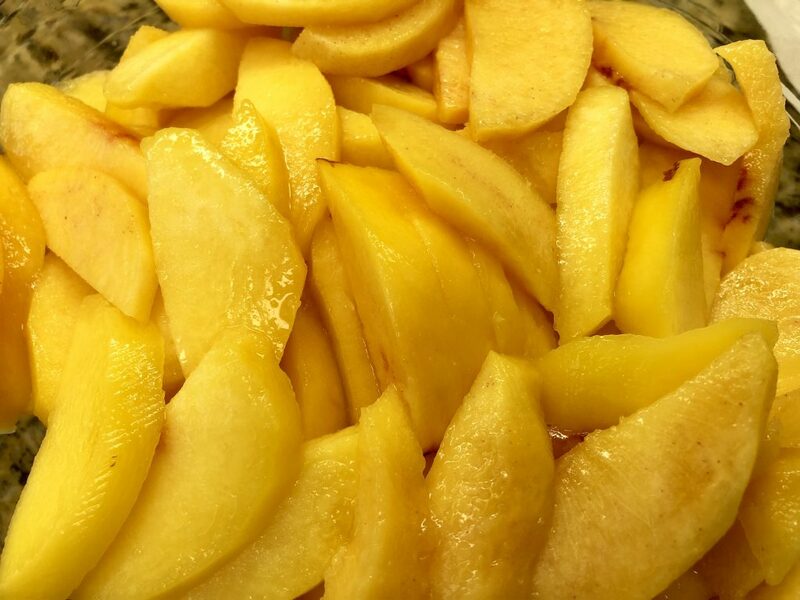 In a large bowl, combine the cut peaches, lemon zest, lemon juice, granulated sugar, and flour. 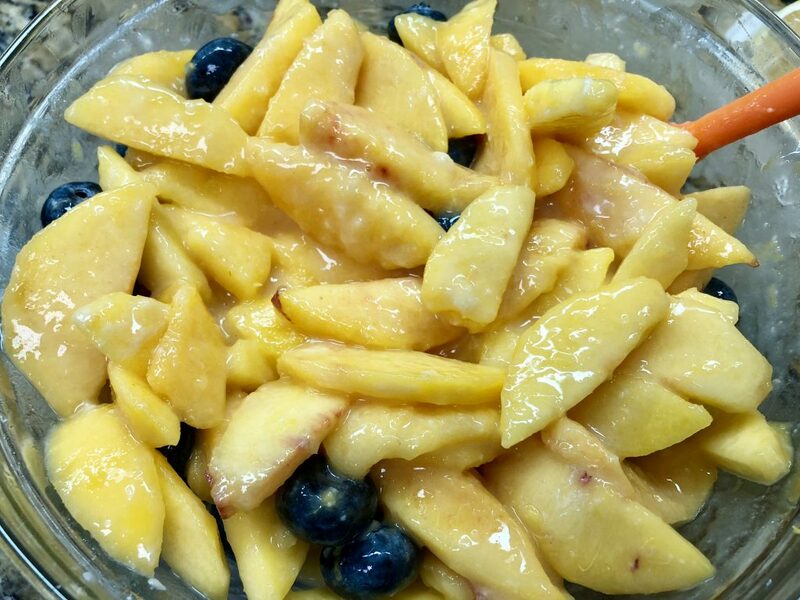 Gently fold in the blueberries, and allow the mixture to sit for 5 minutes. 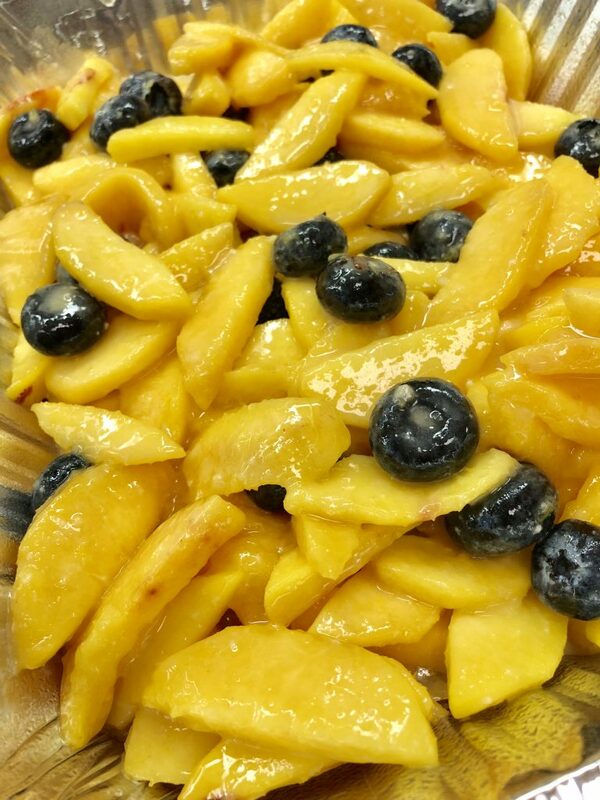 Using a slotted spoon, scoop the fruit mixture into the prepared baking dish. This controls the extra liquid in the crisp. 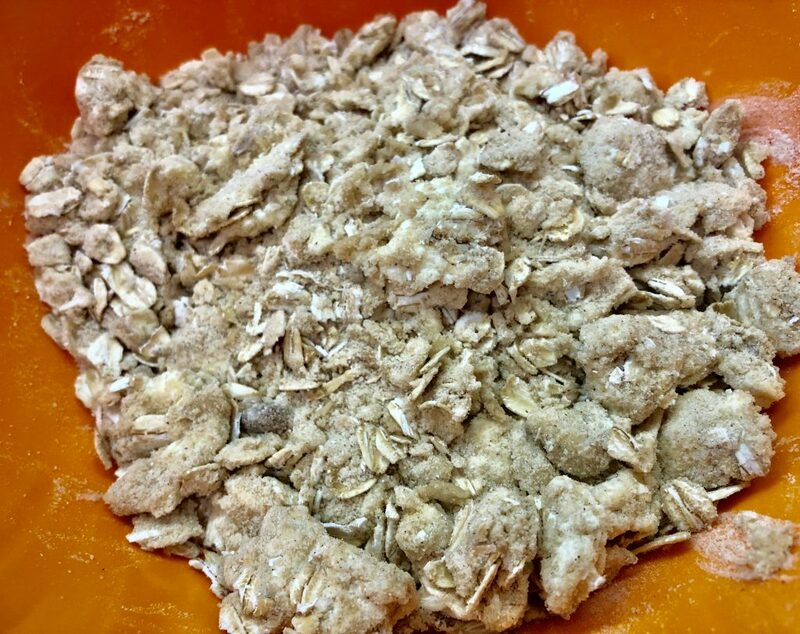 In a small bowl, combine all the topping ingredients (except the butter) with a fork. Crumble in the butter. I like to do this step with my hands–more control over consistency and it won’t stick to your hands as much as a utensil. 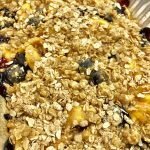 Sprinkle the topping over the fruit mixture (the more the merrier) and bake for 45 minutes until golden brown and bubbling. 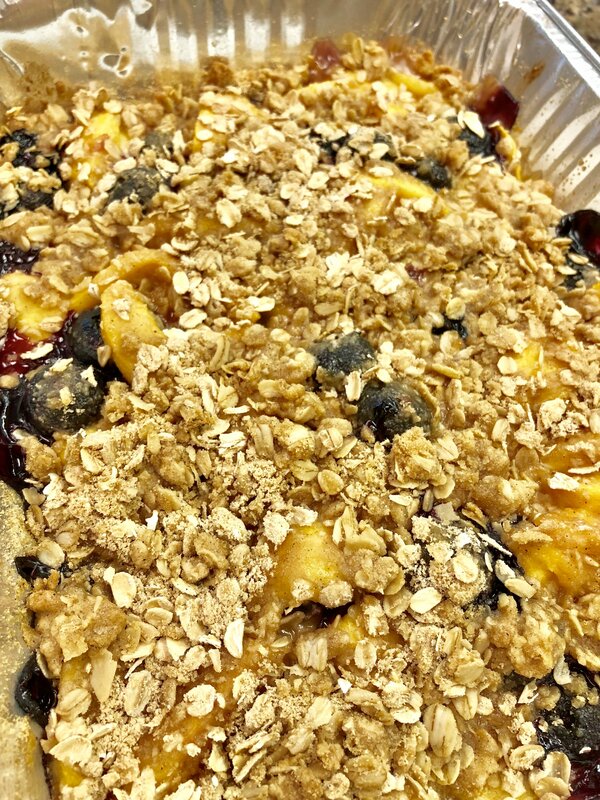 Serve warm and enjoy this delicious Peach Blueberry Crisp! Let cooked crisp cool completely. Cover the dish in aluminum foil and wrap the whole dish tightly plastic wrap. The crisp will last up to 3 months in the freezer. Let defrost in the fridge overnight. Reheat at 300 degrees until warm. To make dairy free, substitute margarine for the butter. 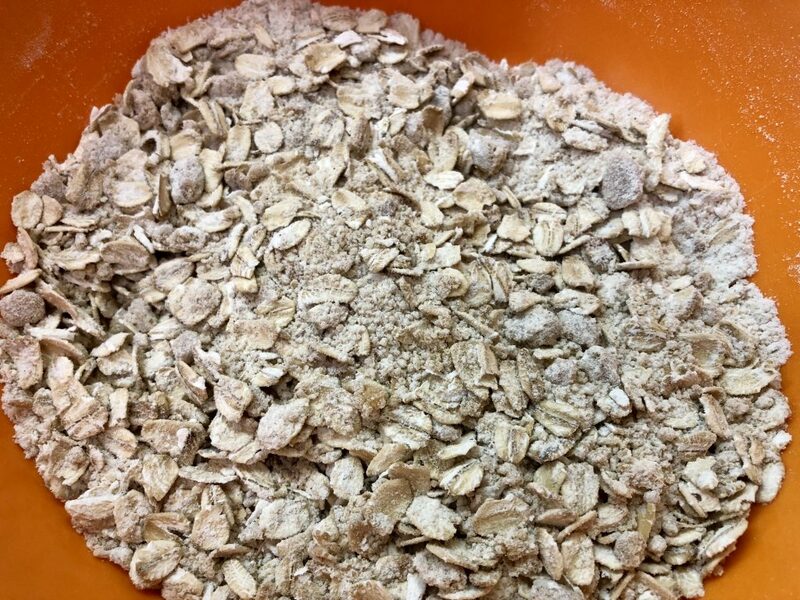 To make gluten free, use GF Flour mix for the flours, and GF Oats for the oats. Preheat oven to 375 degrees. Grease a 9 x 13 baking dish with cooking spray. Set aside. In a small bowl, combine all of the topping ingredients (except the butter) with a fork. Crumble in the butter. I like to do this step with my hands--more control over consistency and it won't stick to your hands as much as a tool.